What does the French Revolution -- soon to be commemorated by the July 14 Bastille Day celebration -- have in common with todays liberals and so-called "progressives"? In her new book "Demonic: How the Liberal Mob Is Endangering America" (Crown Forum, 368 pages, notes, index, $28.99, www.crownpublishing. com) Ann Coulter says liberals and ultra bloody regime changes like the French Revolution and its Terror -- the origin of the word "terror" -- have much in common. There's much about the French Revolution in this book, published not by a fringe group but by a unit of mainstream publisher Random House, an uprising that cost at least 600,000 lives from 1789, when the Bastille was stormed, for the next half dozen or so years. It's like a 9/11 every day for seven years, Coulter says. Imagine 600,000 or more people being slaughtered in Texas, which today has about the same population as France had back then. One estimate I found placed France's population in 1789 at 28 million, making it Europe's biggest country by far. 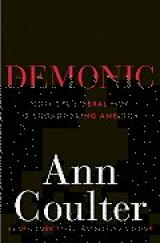 "Demonic" may be the most provocative book from an author who believes in stick-in-the-eye tactics. The model for conservatives and Tea Party types is the American Revolution, which she says didn't result in the mindless killing of the French version a decade or so later. (Loyalists to the Crown, many of whom fled to Canada, might dispute that). Coulter draws on the theories advanced in the 1896 book by Gustave Le Bon (it means "good" in French and Coulter certainly believes it's an apt moniker) "The Crowd: A Study of the Popular Mind." Le Bon's theories were seized upon by Hitler and Mussolini to learn how to incite a mob, but Coulter says the Frenchman was a scientist studying mob behavior, not a person advancing a particular point of view. Coulter says the demon is a mob and the mob is demonic, with liberals and the Democratic Party activating mobs, depends on mobs, coddles mobs, publicizes and celebrates mobs -- it is the mob. This may be a bit strong, but nobody ever accused the attractive blonde author of being moderate! She acts as a one woman conservative snopes.com to demolish myths perpetrated by the liberal "mob." One hoary myth involves the Austrian-born Queen Marie Antoinette, who was murdered along with her husband King Louis XVI in the Terror following the storming of the Bastille. Marie never said that if the peasants didn't have bread "let them eat cake." It was a statement by a writer attributed to an anonymous member of the nobility and was undoubtedly made up. The language of the French Revolution influenced Marxists and radicals -- including Hitler's Nazis -- and continues to do so today, so we shouldn't go out of our way to celebrate July 14, Coulter says. Counter says liberal mobs, from student radicals like Bill Ayers and his privileged suburban wife Bernardine Dorhn to "white-trash racists to anti-war and pro-ObamaCare fanatics today," have consistently used violence to implement their idea of the “general will.” (Personal note: I remember Dorhn, a former high school cheerleader turned Weatherman terrorist, from my days in the late 1960s and 1970s as a reporter/editor at The Milwaukee Sentinel. She grew up in upper middle class circumstances in the exclusive Milwaukee suburb of Whitefish Bay, which some of us ink-stained typewriter pounders at 4th and Kilbourn called "Whitefolks Bay.") Today, both Ayers and Dohrn enjoy university positions in Chicago and certainly have been linked to President Barack Obama. Morphing into her Snopes mode, Coulter documents how liberals slanderously accuse conservatives of their own crimes—assassination plots, conspiracy theorizing, political violence, embrace of the Ku Klux Klan, which was an exclusively Democratic Party organization (Republicans -- more often than not blacks in those days -- were KKK targets, along with Jews and Roman Catholics). The sainted Sen. Robert C. Byrd, D-WV (1917-2010), a former Klan member, never voted for a civil rights bill in his life, while Illinois Republican Sen. Everett M. Dirksen was a supporter of the seminal 1964 bill and worked for its passage (for more about this profile in courage from my home state: http://www.lib.niu.edu/1996/iht319648.html). Coulter shows that the truth is the opposite: Political violence—mob violence—is always a Democratic affair, she says. And Jared Loughner, 22, the imprisoned, accused January 2011 Tucson shooter, who killed six people and wounded many more, including Rep. Gabby Giffords, was not a right-wing fanatic, but rather a liberal (pages 197-198) with every friend of Loughner describing him as a liberal, not a conservative. Speaking of Marxists and language, Coulter made no reference to the master himself, Karl Marx, who published a book about the Dec. 2, 1851 coup d'etat of Louis Bonaparte, The Eighteenth Brumaire of Louis Napoleon, published in 1852. The date in the title is one of the months in the French Revolutionary Calendar that Coulter does mention and refers to November 9, 1799 —the day Louis Bonaparte's uncle Napoleon Bonaparte had made himself dictator by a coup d'état. (for more about the revolutionary calendar, which was abolished by Napoleon Bonaparte, see: http://en.wikipedia.org/ wiki/French_Republican_ Calendar). Maybe this is one reason why many conservatives hate the metric system, which was first adopted by the French during their revolution. The mob is behind every liberal, left-wing revolution, and Coulter includes the Nazis in this category. After all, the translated name of the party is "National Socialist German Workers' Party ( in German: Nationalsozialistische Deutsche Arbeiterpartei, abbreviated NS DAP). On pages 172-3, Coulter describes how the Nazis wanted to follow in the wake of the French Revolution and abolish all religion and create their own "Reich Church." She writes: "In 1935, Heinrich Himmler prohibited SS officers from being members of religious organizations or even participating in services, in or out of uniform." Ann Coulter is the New York Times bestselling author of Guilty, If Democrats Had Any Brains, They'd Be Republicans, Godless, How to Talk to a Liberal (If You Must), Treason, Slander, and High Crimes and Misdemeanors. She is the legal correspondent for Human Events and a syndicated columnist for Universal Press Syndicate. A graduate of Cornell University and University of Michigan Law School, she clerked for the Honorable Pasco Bowman II of the United States Court of Appeals for the Eighth Circuit, worked for the Senate Judiciary Committee, and served as a litigator with the Center for Individual Rights, a public interest law firm dedicated to the defense of individual rights, with particular emphasis on freedom of speech, civil rights, and the free exercise of religion. A frequent guest on many TV shows, she was named one of the top 100 public intellectuals by federal judge Richard Posner in 2001. 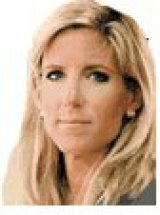 Her weekly column can be read at anncoulter.com.